I just bought a bunch of NYX Cosmetics and they are definitely worth every penny. 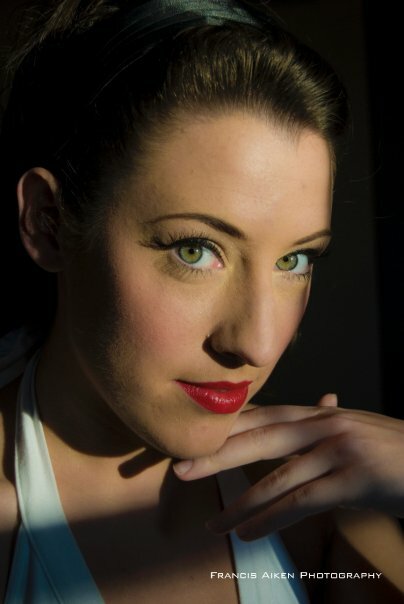 The Jumbo Eye Pencils and loose pigment shadows are so easy to use and can be worn sheer or be dramatic. They are long lasting and stayed put in the shower. They come off with makeup remover. The Jumbo Eye Pencils are soft and easily blended with a brush, applicator, wedge, q-tip or even your finger. They can be used as liners, shadows and best of all a base for the pigments. When wearing the loose shadows as a daytime or sheer look, just apply a small amount on your lid starting at the lash line and working your way up and out. To get a very bold, dramatic shadow coverage, prime with the white jumbo pencil very lightly. Too much will crease. Then with a shadow brush and a small amount of powder at a time, apply shadows and blend out. I used the white pencil to prime. 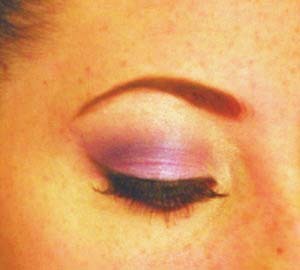 Then I applied the Purple pigment with a small shadow brush over my lid then blending out. I then used the black pencil to smudge into my crease and evened that out with a small shadow brush. I used the black as a primer and to get a deep color with the pigment. I went over the black with the purple again, lined my eyes and finished with mascara. This look is dramatic but can be toned down or up very easily. These are so fun to play with!! emeralds, textured golds and minimalist neutrals with dramatic lips. These looks are fun and can be very easy. Makeup companies are making this trend easier by selling coordinating shadows in sets of 2, 3 and 4 colors. themselves. Lorielle’s HIP collection has a great variety of this seasons brights easily available in drugstores. going from day to dramatic night looks.